Chastity Belt is a rock band consisting of four friends - guitarists Julia Shapiro and Lydia Lund, bassist Annie Truscott, and drummer Gretchen Grimm. They met in a tiny college town in Eastern Washington, but their story begins for real in Seattle, that celebrated home of Macklemore and the Twelfth Man. Following a post-grad summer apart, a handful of shows and enthusiastic responses from the city’s DIY community led them, as it has countless others, into a cramped practice space. They emerged with a debut album, No Regerts, sold it out faster than anyone involved thought possible, and toured America, a country that embraced them with open-ish arms. 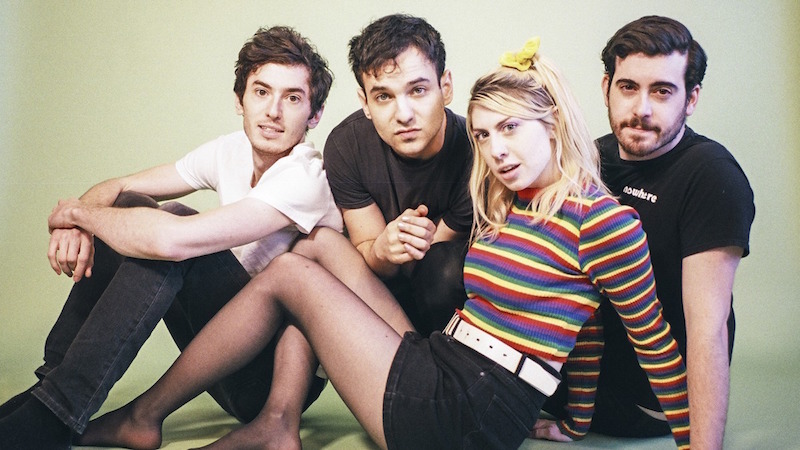 The ten tracks that make up Guppy, Charly Bliss’ sparkling full-length debut, show the band embracing all of their strengths—a combination of ripping guitars and irrepressible pop hooks, all delivered with the hyper-enthusiasm of a middle school cafeteria food fight. That every track is loaded front-to-back with sing/shout-worthy lyrics and earworm melodies is a testament to the band’s commitment to the art form of pop songwriting.